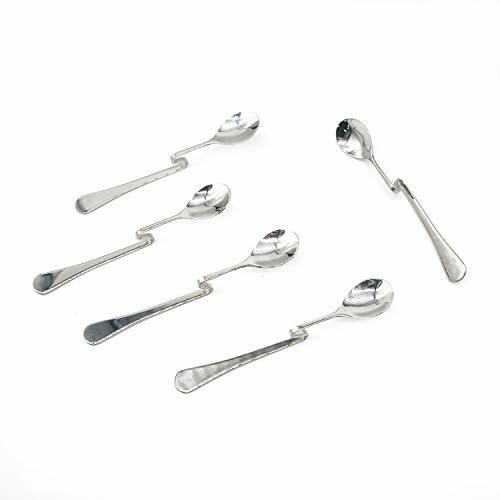 HUELE 5 Pcs Stainless Steel Bending Hanging Coffee Spoons Honey Spoons Ice Coffee Tea Spoon with Curved Handle by HUELE at Mint MD. MPN: 793398925382. Hurry! Limited time offer. Offer valid only while supplies last. Made of quality stainless steel, which is durable and difficult to deform. Size: 15.5cm * 2.5cm / 6.1 inches *0.98 inches. Unique designed with a curved handle to hold the spoon securely on your cup and mugs. Suitable for Mixing Drinks like lemonade iced tea, ice coffee, milkshakes.